Pirates & Privateers : I heard about Bloody Mary and Davy Jones, but are they real or fictional pirates? Question of Alix (07.28.2015): I heard about Bloody Mary and Davy Jones, but are they real or fictional pirates? 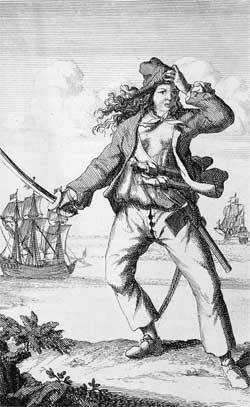 A: Bloody Mary is Mary Read’s nickname, She was a famous female pirate with Ann Bonny. And whether Davy Jones was real or not we don't know. But you can have more information about him here.